Angel Dust is a Marvel character that has super adrenaline like power. She is a villain in the film Deadpool (2016) and played by actress Gina Carano. Her name is derived from the street drug that puts its user in an excited state similar to her power. As a teenager Angel Dust was scared when her mutant power activated. She found she had the ability to be super strong when angered. She ran away from home without explaining anything to her parents. Her parents were terrified and did not know if she had been kidnapped or had runaway. She joined a Chicago Morlocks group. The group decided to work together to help each member resolve one "above ground" issue. Angel Dust wants to tell her parents what happened so at least they know what happened. To her surprise, her parents accepted who she was and asked for her to come back. After helping the Morlocks defeat a Sentinel factory she returned home. She was confirmed to be depowered after the events of M-Day. She has not yet appeared in the post Secret Wars - All New All Different Marvel universe. Through a mutation that effects her adrenaline Angel Dust gains a variety of super powers when excited. These super powers eventually run out and leave her exhausted. Angel Dust appears in the Deadpool (2016) film. 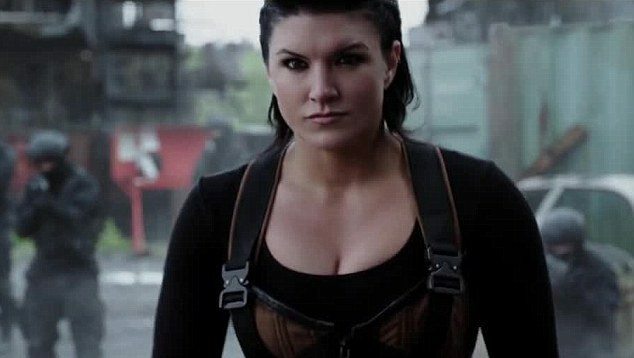 She is played by actress Gina Carano. Her character is slightly tweaked than her comic version. In this version Angel Dust is part of the Weapon X program that is responsible for Wolverine's adamantium skeleton and for the creation of Deadpool. She is an assistant and protege of Ajax who runs a facility for failed Weapon X experiments. In this capacity she runs afowl of Deadpool. In an interview with ScreenRant Gina Carano reveals the following about playing Angel Dust. "[Angel Dust] is… well, when I talked to Tim [Miller] about getting the job, I did a little bit of research and there wasn’t as much on this character, so it gave me some room to play with it. So this is actually my first look (talking about her current, normal hair style). My second look is much more extreme. It’s, I don’t know, a year to five years after, and Mohawk with the braids on the side. So she’s very fashion forward. What she’s known for is having extreme adrenaline issues. Which, I don’t know. Have you looked up Angel Dust before? It’s kinda like a PCP and people kind of rage on it. I think that’s very fitting for my character. She’s got extreme strength and adrenaline." "[The more angry she get, the] More pissed off, yeah. [laughs] I think that me and Ed [Skrein], he actually took me to my first comic book store when I got here. We were going over our characters. It’s a really beautiful, I think, relationship. My character trusts Ajax with everything. She pretty much only really responds to him. He was created a certain way to be the way he is. In our backstory, he kinda created me and showed me everything. And I do the same thing to everyone else. [Ajax gives Angel Dust her powers.] Yeah. That’s our backstory. In our relationship, he’s everything. He’s the one that taught me."